The Transport Minister has given transport operators a three weeks ultimatum to ensure that their commercial buses travelling long distances have an emergency door. Kwaku Ofori Asiamah said the directive formed part of efforts by the ministry and relevant authorities to enforce transportation laws and reduce road accidents. “One of the buses involved in the accident that occurred on Friday, March 22, 2019, for instance, had no emergency door. That, according to the police, made it difficult for those at the back to move out of the bus,” he said. 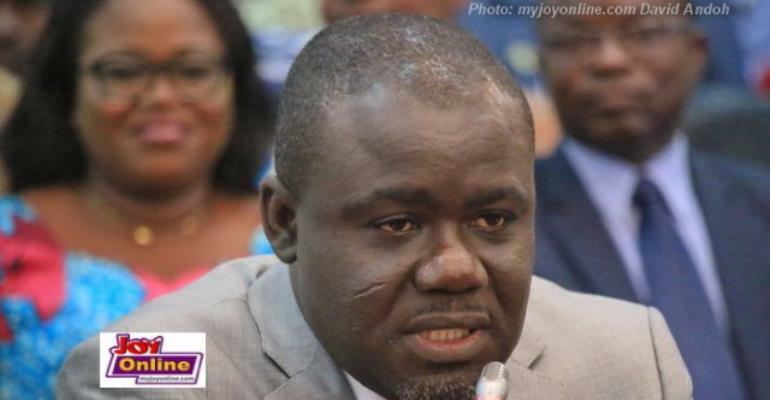 The minister made this known when he met transport operators, drivers and transport agencies in Accra last Friday, to discuss ways to reduce road accidents and ensure safety on the road. He entreated the operators to ensure their buses had emergency doors as soon as possible, adding that operators who failed to comply with the directive would not be allowed to operate. Present at the meeting were representatives of the Ghana Private Road Transport Union (GPRTU), the Driver and Vehicle Licensing Authority (DVLA), the Motor Traffic and Transport Department (MTTD) and the National Road Safety Commission (NRSC). Mr Asiamah said the ministry and relevant authorities were poised to ensure strict enforcement of the law to save lives and property. He explained that although the law governing transport - LI 2180, 2012 - was being reviewed, the transport operators should adhere to the directives given. Other directives given include the installation of speed limiters in commercial cars weighing more than 3.5 tonnes, the provision of two drivers in every bus, training of the drivers every six months and ensuring that drivers have rest after every four hours of driving. “Going forward, we are going to enforce all the laws and we cannot do effective safety on our roads without technology and collaboration with all stakeholders,” he added. He said the police would soon come up with a statement after the meeting on today (Monday). The Chairman of the NRSC Board, Rev. Ishmala Awudu, said the commission would intensify collaboration with the ministry and other stakeholders to ensure that the road was safe for road users. The transport operators and drivers, on the other hand, cited disrespect on the part of passengers, the lack of rest points, armed robbery activities and the lack of dual-carriage roads as some of the challenges which sometimes resulted in road accidents. They also asked for more engagement and sensitisation from authorities while they expedited action to address their concerns. They added that there was still the challenge of transport operators using the same colours for their brands. After the meeting, the NRSC presented items, including 10 alcohol meters, speed radar guns and accessories and 2,000 reflective jackets to the MTTD.